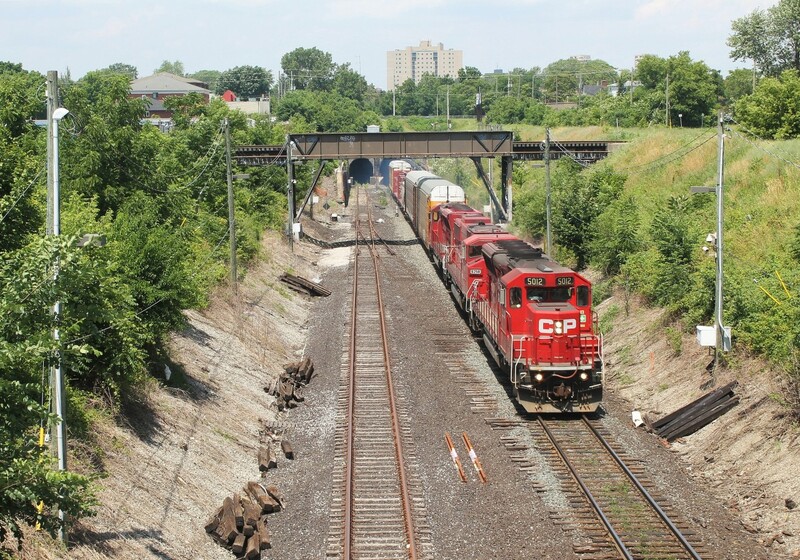 Railpictures.ca - Mike Molnar Photo: After a morning of interchange work in Detroit, CP T-40 blasts out of the tunnel with a small cut of cars for Windsor Yard. | Railpictures.ca – Canadian Railway Photography – photographie ferroviaire Canadienne. Caption: After a morning of interchange work in Detroit, CP T-40 blasts out of the tunnel with a small cut of cars for Windsor Yard.